Welders and fabricators near you! Weld-delux LTD is a provider of metal fabrication and mobile welding services. 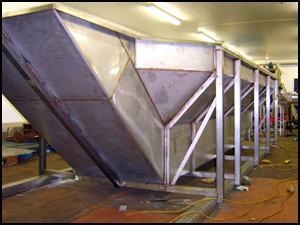 The term METAL FABRICATORS rather than STEEL FABRICATORS used deliberately as we work with various metals. If you are looking for a mobile welder or metal fabricator near you, let me ask you one simple question. Can you get more near, than mobile service? Naturally, the feasibility of contracting us depends on the scale of your metal fabrication project. Also, consider that today technologies in the transportation of goods allow any welded parts or components to be delivered from our workshop to any place in the UK at very cost effective rate. Do you need experienced welders, who can take on the task and bring a solution to your problem? What makes us different from other welding companies, is a simple fact that we care. We care to be different, to be outstanding, and to be the welders who you can rely upon. If you are looking for welders for your metal fabrication projects, why not to ask for a quote? Please fill up our contact form on the right of the page, and you will have one more option to choose from. Here at Weld-delux, we have specially set up mobile welding unit that hosts all necessary equipment to do welding work at the most remote locations. We use VW Crafter van with long wheelbase for all mobile welding work. This allows us to transport up to 6m long pipes or box sections on the roof rack and any fittings within the vehicle. This mobile welding unit enables us to perform TIG welding, MIG welding, MAG welding and MMA welding on any site. Arc gouging or heavy-duty welding can be organised by the use of towing generators. Our workshop located around 30 miles away from Aberdeen so it is natural that the bulk of our work comes from companies in Aberdeen. Welding projects that we get involved with range from the fabrication of parts, to site welding for our own customers as well as subcontracting our welding skills to other welding companies. With the opening of Aberdeen city bypass the traveling time to Dundee and further south shortened by an incredible 30 minutes. This leads to a situation where we have a mobile welding unit in Perth once a week and often even more. Welders in Glasgow and Edinburgh. We have customers in Glasgow and Edinburgh who work all over Scotland, whenever they need a welder or metal fabricator on the jobs they call us. Sometimes we put 10 hours of driving for the 2-hour job. Customers are happy with that as they know, we do not provide just a mobile welder, we provide a complete solution to the problem. Occasionally we travel even further south and have customers in London, Derby and other places. There are plenty of haulage companies who have trucks half empty and can give a really good rate on delivery of any metal fabrication project from our workshop to where ever you need it. 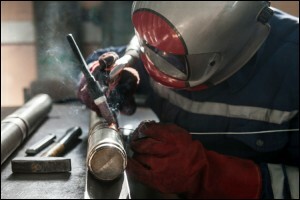 perform welding and metal fabrication project with the use of different welding techniques as they often give fabricators different advantages. There are far too many metal fabricators who become victims of recent phenomena where companies are moving towards automated or semi-automated welding processes due to the repetitive nature of work that they do. As a result, they have a workforce of people who cannot weld with anything other than MIG or never work with any other metal than mild steel. We are steel fabricators and there is no surprise in that as mild steel is the most widely used metal product in the world. 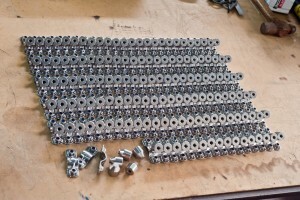 Fabricating new things or reconfiguring old ones, the basic principle here is simple, if you can draw it we can make it. Most fabricators will tell you that aluminium is a really difficult material to work with. That is not true, it is a very common misconception arrived from the fact that most fabricators do not have enough experience with it. The only hard or difficult thing about aluminium is the health risks when you are welding it. This is one of the reasons why aluminium fabricators charge a higher rate for the work on aluminium projects. 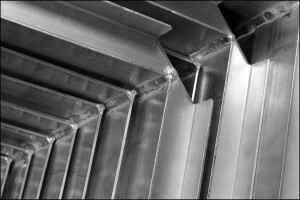 In recent years metal fabricators saw an increase in orders in stainless steel. 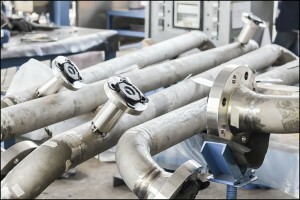 Many companies started to realise that over the long service life of the item the costs of recoating and corrosion preventions are escalated to the level where it is more feasible to produce items in stainless steel. No downtime and transportation cost to and from the paint shop, no corrosion prevention program, no issues with storage of paints and other volatile substances on site, just clean hygienic and food safe products. So if you are looking for a stainless steel fabricator, we are here to help! Contact us and see what we can do for you. If you have a fabrication or welding service enquiry please send it to info@weld-delux.co.uk or if you would like to talk to someone, call 01779 487 170. If you’re a welder who is looking for a place among welding companies, send your CV to the email above. Thank you for visiting our website, have a great day!